-270mm oversized rotor kit for ultimate braking performance. 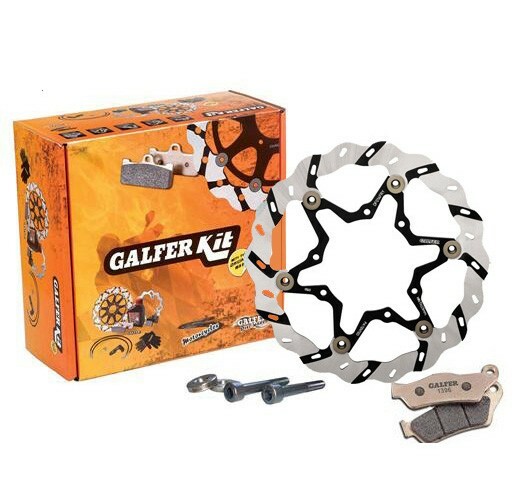 - Kit includes rotor, relocation bracket and pads. - 270mm oversized rotor. - Unique design allows the rotor to cool faster and stay cleaner with every revolution. - Lighter than original wave rotor. - Full floating with black center carriers. - Opposing slots on each side allows more leading and trailing edge friction. - 180 day manufacturer's warranty. - Includes rotor, relocation bracket and brake pads. - Made in Spain.